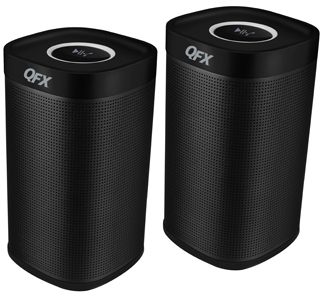 Overview: Take the music with you with QFX’s BT-275 stereo speaker, which features Bluetooth connectivity for easy music streaming or wired through an audio input jack. 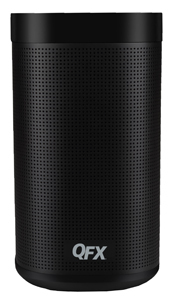 Perfect for hotel rooms, backyard barbecues, or moving from room to room, this portable device can slip into your bag with it’s lightweight design. 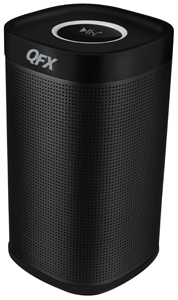 The speakerphone feature allows you to make and take hands-free calls. Pair this speaker with compatible Bluetooth-enabled devices, including laptops, phones and tablets.